Yukon lives up to its ‘Larger than Life’ motto in more ways than one. Found in the north west of Canada, Yukon Territory is an outdoor lovers dream, nearly twice the size of the UK, it has a whole host of wildlife and diverse landscapes to explore from mountains to rivers, lakes and forests. With over 80 percent of the Yukon being wilderness there is plenty of wildlife to be discovered. A 25-minute drive from Yukon’s capital Whitehorse is Yukon Wildlife Preserve. This 700 acre preserve is home to 11 different species of animals including arctic fox, bison, elk, lynx, mountain goats, caribou, arctic ground squirrel and moose. Animals are not penned in here but instead have acres of open land, wetland and rolling hills to roam amongst. Look out for JB the moose who as a calf was abandoned by her mother; she now happily lives in the preserve. The staff at Yukon Wildlife Preserve are big on conservation and research, as well as caring for the animals within the preserve they also specialise in the rehabilitation of injured animals with the aim of releasing them back into the wild. For children the Nature Camp is a fun filled educational week. There are different themes for certain age groups and children learn exciting outdoor skills such as shelter building, fire building and understanding Yukon’s wildlife. See the preserve on a guided bus tour or on foot. The bus tour is $22 per person and lasts for 75-90 minutes and the self-guided walk $15. The three-mile scenic loop covers a range of environments within the preserve and provides ample opportunities to spot animals. Feeding stations throughout the preserve are a great place to get a closer view of the wildlife here, although not guaranteed mornings and evenings are often a good time to witness bison grazing or catch a sneaky peek of an arctic fox. The Yukon experiences the midnight sun during the summer months, which makes for even longer wildlife viewing. Remember to go slowly and quietly when looking out for animals and have your camera at the ready. Other things to take with you could include binoculars and comfortable footwear if you plan to hike the nature trail. The bus tour is a great way to learn about the wildlife preserve from an interesting guide with stops along the way to view animals, take photos and ask questions. Or pick up a trail guide and map and do your own thing on the self-guided walk, read the information panels as you hike for more facts on the arctic and boreal wildlife. Choose between the 1.5 mile or 3 mile loop, allow for 2 to 2.5 hours for the full loop; go at your own pace and take it all in. Washrooms, benches and picnic tables can be found along the route too so take your time and enjoy the beauty of your surroundings with a picnic. For a unique experience book your own private tour guide and vehicle and get the opportunity to go behind the scenes with a visit to the research and rehabilitation centre. This is also a popular area for bird watchers with over 90 species of birds spotted within the preserve. Being a not for profit organisation the preserve often holds events and fundraisers. ‘Run Wild’ is a yearly fun-run around the 3 mile loop to raise money for the rehabilitation centre. Halloween sees a bonfire and special animal feedings, whilst Yukoner Day in June has a whole host of activities from bus and walking tours and a BBQ. 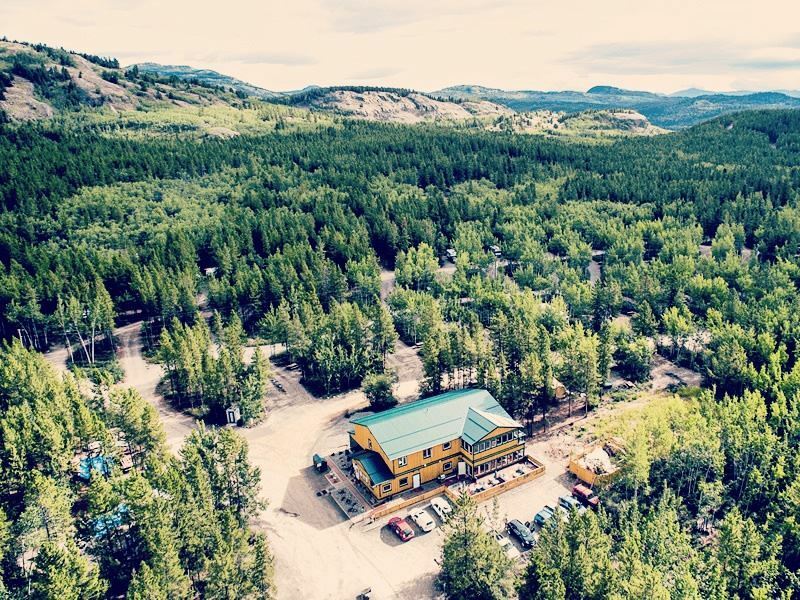 After visiting the preserve, if you love a caffeine fix stop off at Bean North Coffee Roasting Co. for a hot drink and a sweet treat on the way to nearby Takhini Hot Springs. The hot pools are warmed by natural mineral spring waters with a temperature ranging between 36°c and 42°c. There are two connecting pools to enjoy a soak in and admire the incredible mountain views at the same time. The pools have been operating for 100 years and research suggests that the water in the pools has taken an incredible 60 years to reach the surface. It's not just about relaxing here. The healing properties of this natural water mean you can find your inner zen and leave feeling refreshed and revitalised. Spend a whole day exploring this part of the Yukon. The preserve gives the opportunity to spot animals in their natural environment that otherwise may not be witnessed unless deep in the Yukon wilderness. Look out for the elusive lynx and watch Canada’s most recognisable species of animal, the moose grazing on open grassland. Combine all this with a unique soak in the Takhini Hot Springs, so don’t forget to pack your walking boots and your swimmers and get ready for a day of adventure in Canada’s northern territory.